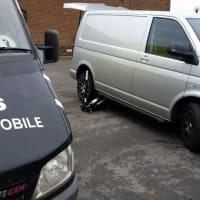 We are the leading provider of Mobile Tyre Fitting across Basingstoke, Reading, Southampton and Surrounding areas. We offer free balance for every new tyre fitted by us. Has a puncture left you deflated? Dont worry, we come to you..
Why waste your time travelling to a tyre depot? Why waste your time hanging around a tyre depot? Why not let us come to you instead? 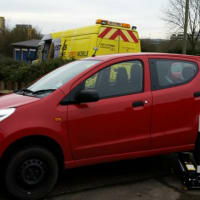 For hassle free tyre fitting give us a call on 07795 950 500. 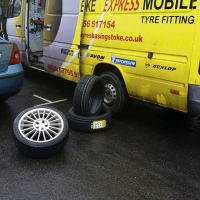 At 1st 4 Tyres we have been providing our mobile tyre fitting service for over 20 years. We supply a complete tyre fitting service from puncture repairs to full tyre replacements. All you need to do is give us the details of your tyre, then just wait and we will come to you as soon as possible. Very good value and quality came to my home very convenient very friendly service . I'll always recommend 1st4tryes, As Ryan has always provided an excellent service,He prompt, reliable and gives excellent advise and support. 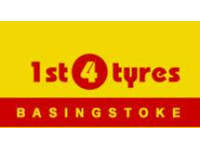 great tyre service, good prices... nice guy!